Good news if you’re a guy with thinning hair: one of my absolute favourite brands, Aveda, are about to launch two new products designed to meet the needs of those with thatches that, you know, ain’t quite as thick as they used to be. Since there’s a wealth of evidence to suggest that scalp health is crucial to heathy hair both products focus on maintaining a clean, healthy scalp – getting to the root of the problem you might say. The Invati Men Nourishing Exfoliating Shampoo does exactly what it says on the tin, nourishing and strengthening hair to minimise breakage whilst exfoliating the scalp with the help of salicylic acid. The exfoliation bit is useful because it helps remove the excess oil and dead skin cells that can hinder hair growth if left unchecked. As with all Aveda products it smells fantastic, too, thanks to an earthy blend of plant essences, including organic cedarwood and fir. The Scalp Revitalizer, meanwhile, contains an ingredient that thickens the hair slightly at the root, so it appears a little fuller, whilst improving mirocirculation on the scalp to ensure the best environment for healthy hair. Right now, there’s still no scientific cure for thinning hair (gene therapy may be our best option in the future) but until there is men are going to do whatever they can to hang onto what they have – and these two products are well worth having in your grooming armoury. Available from Aveda salons/spas and online from May. Established in London’s trendy Shoreditch in 2006 Murdock has become a prime destination for guys seeking good grooming and barbering in a classic, stylish but unstuffy environment. The ultimate example of an instant heritage brand (i.e. sounds as though it’s been around for decades but hasn’t) it’s been such a success that there are now sores at Liberty, in Mayfair and in Covent Garden. Building on the success of the barbershops they’ve even branched out into their own skincare products, accessories, candles and fine fragrances – the Patchouli one being one of my own favourites (and I’m very fussy about my patchouli fragrances). 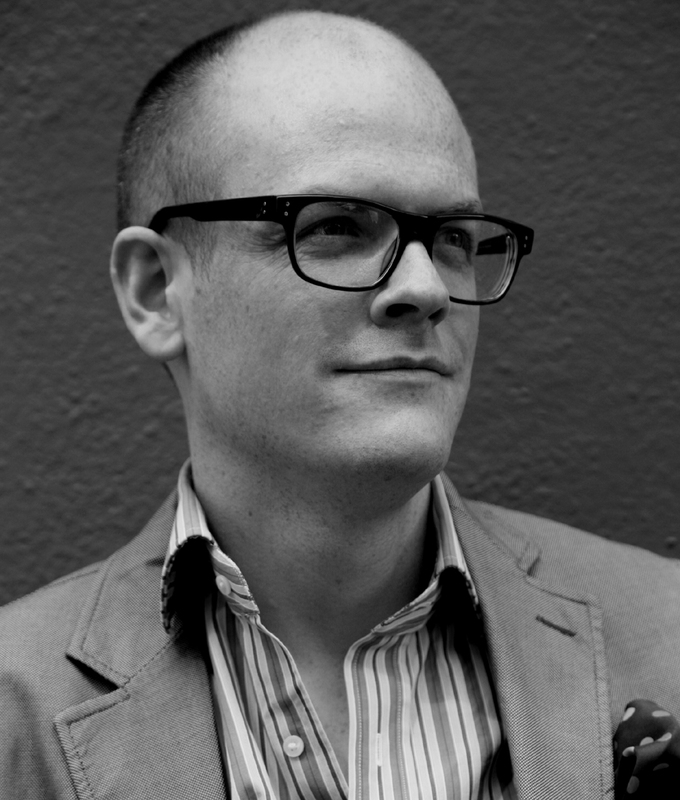 Here I find out what makes founder Brendan Murdock tick and manage to get some invaluable grooming tips from him in the process. GG: What’s the biggest mistake men make when it comes to shaving? BM: The biggest mistake is undoubtedly lack of preparation. The best shaving results will be achieved when the skin and facial hair is prepared, a combination of a hot flannel or water, pre-shave oil, and perhaps a badger brush to apply the cream. The pre-shave oil softens the whiskers and prepares the skin for the razor’s edge. 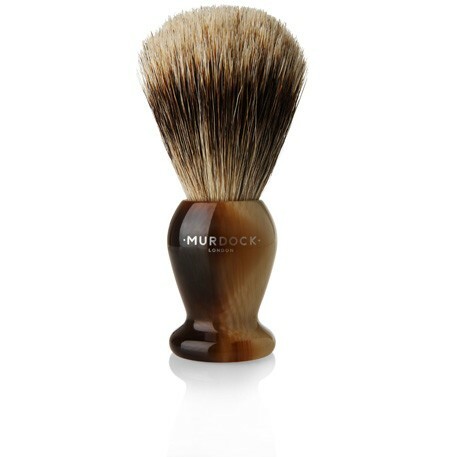 The fine tips of the hairs on the brush create a smooth and creamy lather, while the remarkable softness of badger hair cleanses the face gently, ensuring a comfortable and close shave. The action of a razor is quite harsh and surface skin cells are removed. If the skin and facial hair is not prepared you may suffer from an itchy, sore face post-shave. 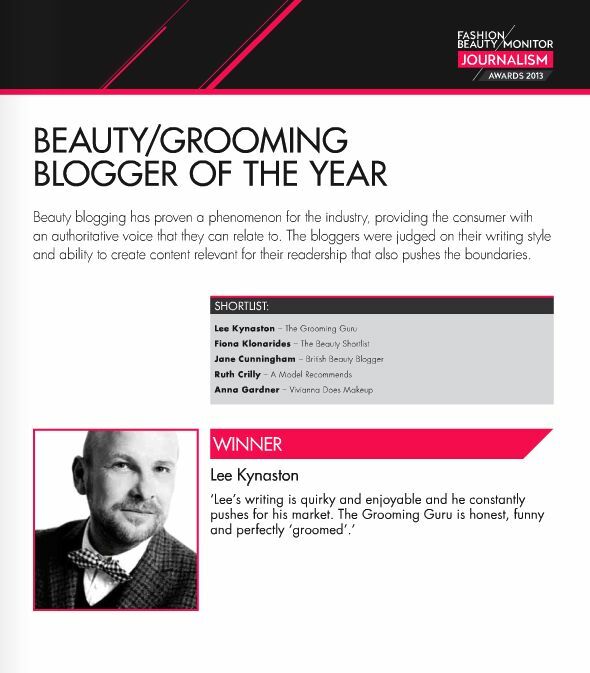 GG: What trends in male grooming have you noticed of late? BM:Men have gained more confidence when it comes to shaving, and are becoming increasingly inquisitive as to how to perfect the art. When we first opened in 2006, gentleman would simply purchase a shave cream to shave. Most customers were not even using post shave balms after shaving, despite complaining of sore, red faces after shaving! 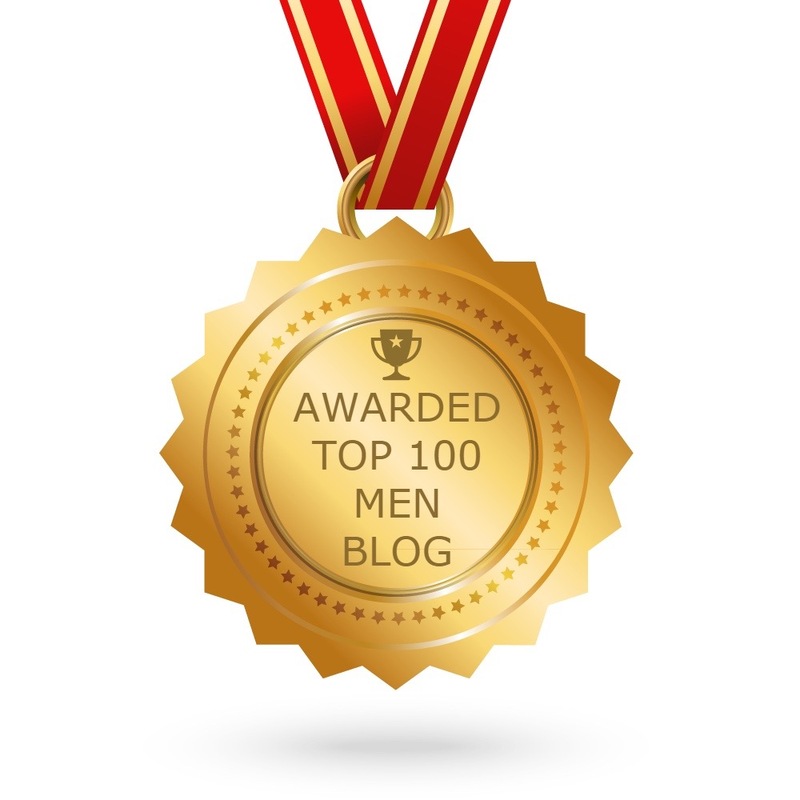 Today, men are more informed and educated about best grooming practice. Coupled with more visible brand and places to visit for grooming, more educated choices are made. GG: What are your favourite men’s fragrances and why? 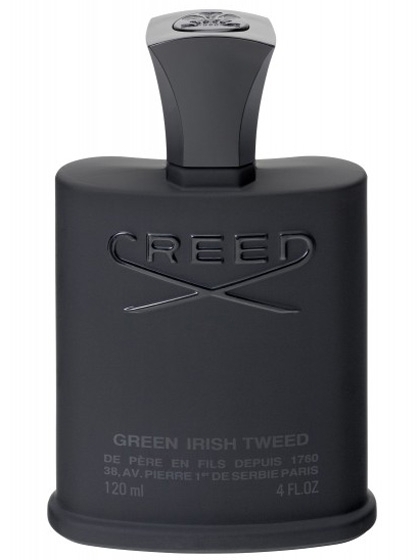 BM: Green Irish Tweed by House of CREED. 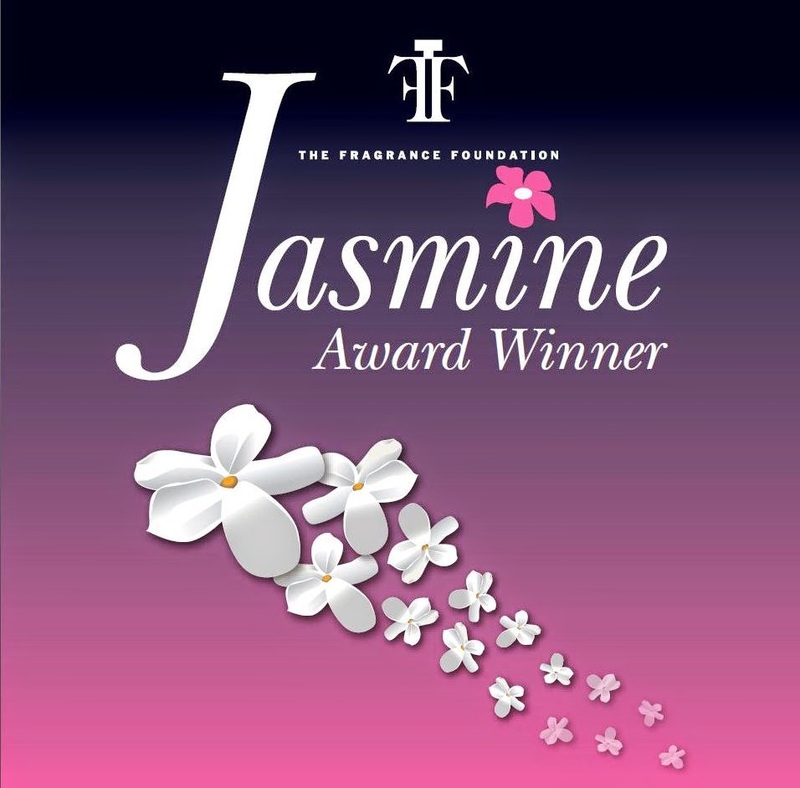 I’ve been loyal to the scent for many years; it now represents familiarity and comfort. I also like the scents by Carthusia they are light and summery and remind me of wonderful holidays in Italy. 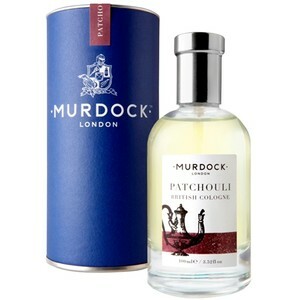 I really enjoy wearing our Murdock Patchouli Cologne too. It’s a subltle, sensuous and mysterious scent, suitable for all seasons; great all year round. GG: What’s your best shaving tip? BM: Always use a post shave balm after each shave. Shaving strips the skin of essential oils and you must ensure that the skin is moisturised and soothed post-shave. GG: What’s your best skincare tip? BM: Moisturise, moisturise and moisturise. BM: Naturally sunblock is an essential. However, I would not be complete without a bottle of Murdock Patchouli Cologne; capturing my more bohemian and free-thinking style for the desert island. GG: Body hair. To trim or not trim? BM: If, for example, you are an athlete and your decision to wax or trim is to enhance your performance in your chosen field, then I am in favour. Conversely, if your decision to wax or trim is purely based on vanity, then I am not as convinced. For me, masculinity is reflected in natural body hair; to wax or trim detracts from this. Ultimately, the decision lies with the individual; each to their own. BM: A miracle cream that prevents hair loss and baldness, without any side effects! 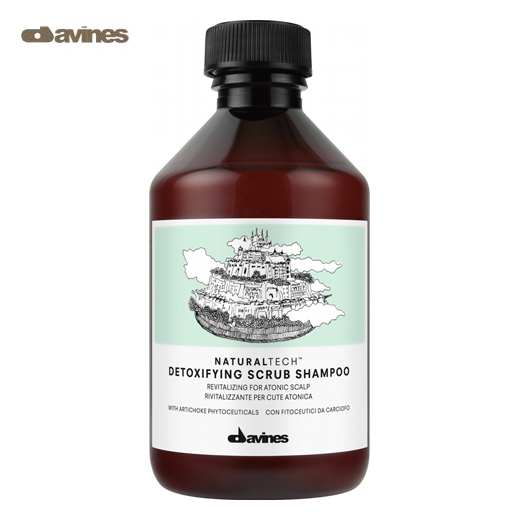 Though it’s not specifically aimed at demi-baldies like me Davines Detoxifying Scrub Shampoo is an absolute brilliant product for the folically-challenged. It’s actually great for gently removing product build up and ridding hair of unwanted nasties but is also really great at removing dead skin from the scalp. Unlike many other exfoliating shampoos the particles are small enough to wash away easily and it’s also free of parabens and sulphates. It’s no surprise that scalp health is so important to hair health – it’s where hair sprouts from after all. In the same way that teeth need health gums, hair needs a healthy scalp. So this shampoo is a great way to keep it free of dead cells, dry flakes and the grease and grime that accumulates on the skin during the day. Since it’s formulated with cardamon, corriander and mint it smells great too. New Lab Series survey reveals 41% of men would rather lose their job than their hair! As someone who severely fell out with my hair after it filed for divorce from my scalp several years ago I’m always fascinated by men’s attitudes to baldness. Though I’ve come to terms with my ever-decreasing shaft count (and I’m referring to hair here), I do mourn not having a style other than the No.1 crop I’m permanently lumbered with. Having said that, I’ve learnt to live with it. Clealry, though, hairloss is a subject that still prays on a lot of men’s minds. 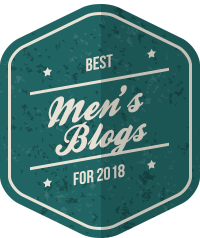 In fact, a brand new survey of 2,000 men conducted by Lab Series Skincare For Men discovered that 41% of men would rather lose their job than their hair and 30% of men aged 18-24 worry about losing their hair. The reason men are so worried? Well, it seems that looking old is the key, with 34% of men surveyed saying they worry that a thinning thatch will make them look old. 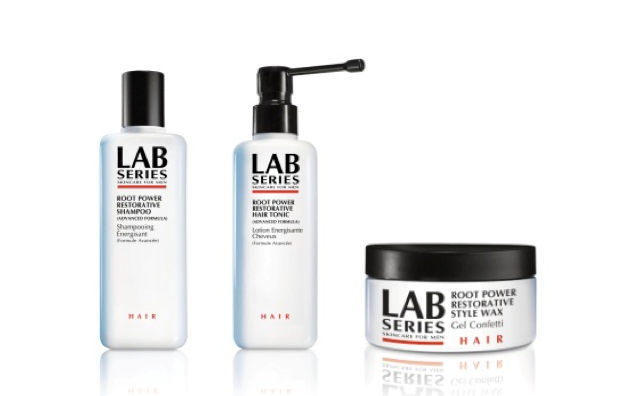 Helpfully, Lab Series now have three haircare products to minimise hair loss by making hair stronger, reducing breakage and maintaining optimum scalp health. Designed as a three-step system, each product contains a raft of ingredients to target hair weakness and dullness. The lightly-fragranced Root Power Restorative Shampoo helps keep the scalp free of pore-clogging debris and thickens hair shafts, the Root Power Restorative Hair Tonic minimises daily breakage and energises the scalp while the Style Wax (for me the most impressive product) is formulated to give thickness to the hair reduce breakage. They’re not going to prevent you going bald if you’re predisposed to male pattern baldness but are a good addition to your regime if you just want to hang onto what hair you do have. Losing your hair? How about this for a novel solution? And as a baldie myself I sympathise, I really do. But answer me this: who in hell actually opts to wear a wig in the shape of a really bad mullet?